A driver of a truck loaded with vegetables lost control of his vehicle after one of its front tires burst. 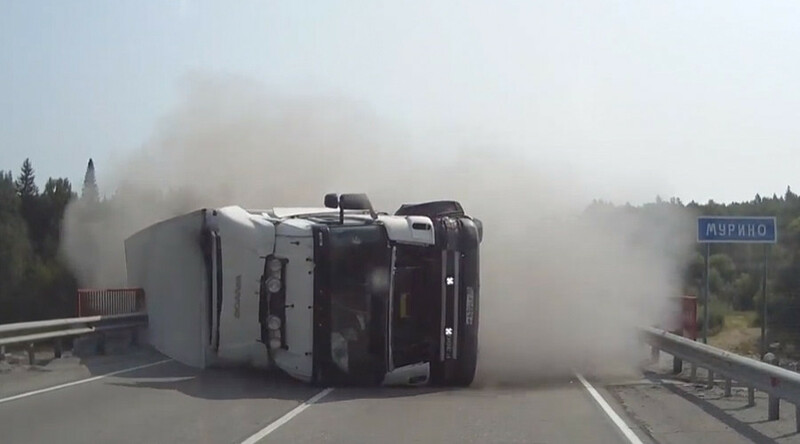 The vehicle turned on its side and slid out of control on a bridge in Siberia, near the city of Irkutsk. The video shot by a dashcam of an oncoming car shows the moments the passenger screams with fear begging the driver to go into reverse as the out-of-control truck comes towards them. Luckily the huge lorry stops just meters from the car and everyone is okay.